Have you ever spent months mentally planning for a vacation, only to realize it is right around the corner and you haven’t actually gathered all the things you had in mind? That totally just happened to me. We are getting ready to fly to California over spring break, and I have been really excited about it for since booking the tickets months ago. Even though Charlie has traveled a bunch, this is my first time taking a 17-month-old, so I have been reading up on all the best tips for flying with a toddler. I feel like I know exactly what I plan on bringing. I somehow got the mindset that I have a bunch of time to order stuff I needed online, thinking it is still a few weeks away. One of my students this week, however, pointed out that spring break starts next Friday- as in 9 days! Oops! Lucky for me, everything I need is available on Amazon Prime (hello 2-day shipping 🙂) and I have a great app for entertaining Charlie along the way (find out what it is below). 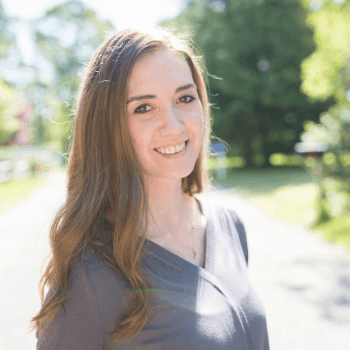 Since I know I can’t be the only mama to find myself in the last minute prep situation, I thought I would share some of the items I am adding to my packing list for our upcoming trip! This post may contain affiliate links. This means if you click on it, I may earn a commission if you make a purchase, at no extra cost to you. Thanks for supporting the blog! Baby Carrier: I have a feeling Charlie is going to be quite squirmy on this trip, and will likely want to run, and be carried. This means a lot of lifting her up and down and taking on and off a carrier. I just bought the Boba Air Carrier and love how lightweight it is and how it packs up extremely small. While I love my Lillebaby, this one will be a whole lot easier to throw into the diaper bag when not in use. This one is another great lightweight option too, and is available on Prime. 2. Backpack Diaper Bag: I love using a backpack diaper bag for travel. It makes it so easy to carry while wrangling a kiddo and luggage. I currently have this style, but I’m secretly admiring the Skip Hop Chelsea Downtown. 3. Travel Stroller: I’m on the fence about bringing a stroller this time. I want Charlie to burn off some energy before the flight, and I’m thinking I might end up dragging the stroller while chasing her more than she would ride in it. If I do I’ll bring my travel stroller- in case you need one this Summer Infant stroller is really popular (and affordable!). Diapers & Wipes: I always bring more diapers than I think I will need, a diaper changing clutch, and a travel wipes case. It makes it super easy to access them for the inevitable clean-up. 2. Toddler-Friendly Water Bottle/ Sippy Cup: A thirsty toddler is a tantruming toddler, so I’ll be bringing along our trusty CamelBack Eddy water bottle. I’m also on the hunt for another straw sippy cup to bring- I’m thinking maybe one with a weighted straw? 3. Snack Cup: Everything I have read has said the same thing- bring a million snacks to keep toddlers busy and full. I don’t go anywhere without my Munchkin Snack Catchers now anyways, so I’ll bring that along too. Magnetic Doodle Pad: This seems like a great solution to keep Charlie occupied. All the fun of coloring, without the mess or broken crayons rolling off the tray table. The one pictured can be found here. 2. Window Gel Clings: I’ve heard great things about the power of window clings to keep kids entertained. I bought a pack to try out (and as a bonus, they hardly take up any space if we don’t end up using them!). 3. Kid-Friendly Headphones: I will definitely be bringing along our tablet to keep her entertained. It was important to me that I find kid-friendly headphones to limit the volume. Charlie loves Mickey Mouse Clubhouse, so I’ll be sure to download a few episodes of that for her. Though I really don’t want her to spend 6 hours+ both ways watching TV. 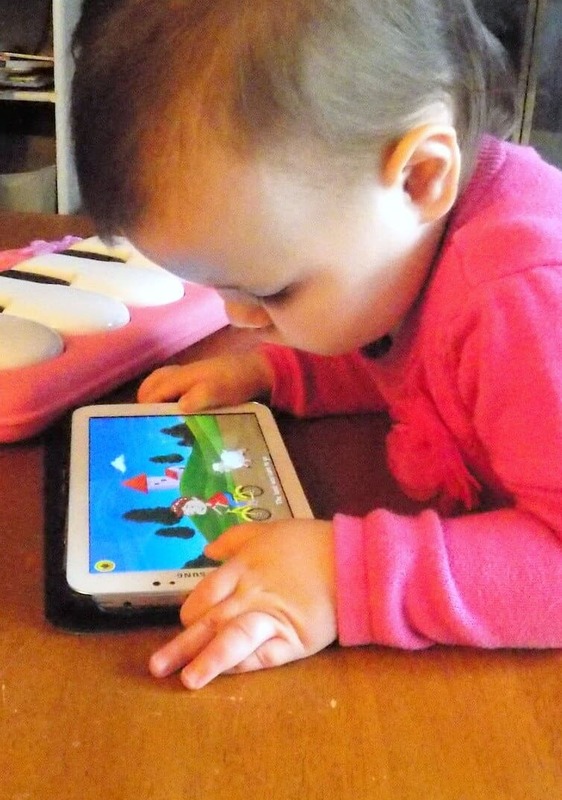 Knowing how drawn she is to technology, I know she will want to use the tablet quite a bit. 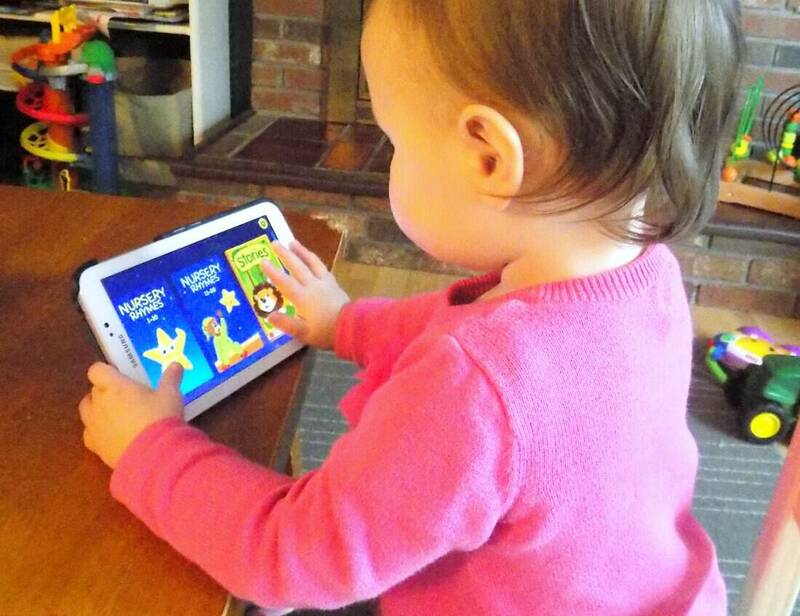 That is why I’m really excited to use the KidloLand educational app on our trip! KidloLand reached out to me to review their app for toddlers and preschoolers (they provided me with a 6-month subscription in exchange for my honest opinion). As a special education teacher, and now a toddler mom, I have tried out many different educational apps over the years, and was excited to test a new one out. One of the things I really like about it is how much content it has. There are over 1,000 songs, stories and activities on the app that can be downloaded, and covers all sorts of topics, from ABCs, animals, colors, foods and numbers, to holiday related songs and activities. Though Charlie is a little young for some of the content, she is really into nursery rhymes and songs right now, and is constantly requesting that I sing them for her by giving me signs for different ones. I love that this app has practically every nursery rhyme on it, giving me a break from having to sing them all the time (I’m sure my fellow plane passengers will thank me!). Each song has an animated clip to go along with it, and the stories are actually really cute to watch. The activities are great too. My favorites are the little feeding games, where you can swipe your finger to give honey to a bear, or cupcakes to an elf! There are plenty of puzzles, sorting activities, and recognition games as well. As she gets older she will definitely get more out of those, but for now she caught on pretty quick to being able to move items with her fingers, and she is having fun figuring out the cause/effect of certain movements. I think this app is definitely worth exploring for anyone with a toddler or preschooler. It has a lot of great content that will help support early learning objectives (Yay for learning!). The only part of the app I find less than ideal is the fact that you have to download the content, which takes both time and space on your device. Each separate part requires downloading. I think this is likely to save space, but it puts a pause on the playing time when you have to stop to download. I took some time to download sections before giving it to her again, and that made it a lot easier. 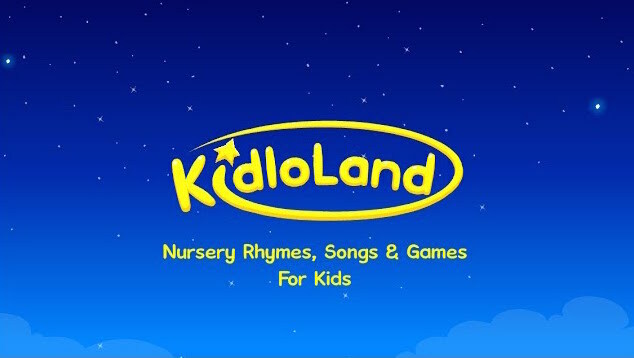 KidloLand can be downloaded on iOS, Google Play, and through the Amazon AppStore. There is a free trial where you can test it out before signing up for the subscription. Prepped and Ready for Flying with Toddlers! So there you have it! Even if you are in the last minute scramble to prepare for a trip, Amazon Prime and KidloLand have you covered. 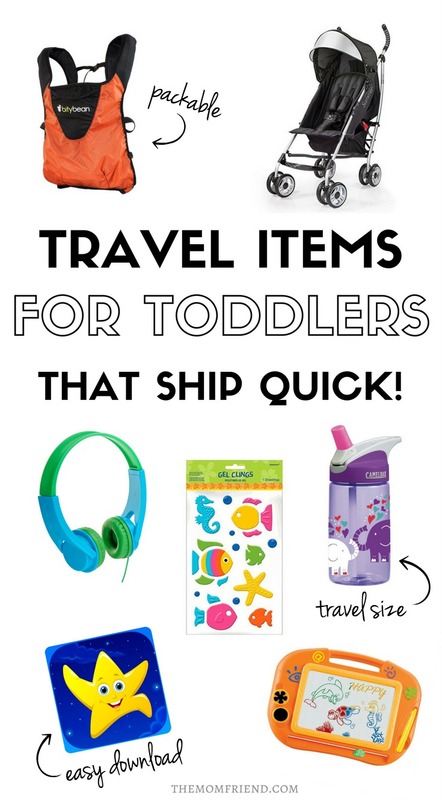 Are you flying with toddlers soon, or have you traveled with one recently? What tips can you give me to help me prepare? Let me know in the comments!